Modify mode is similar to Capture mode, except it does not save the requests and responses. 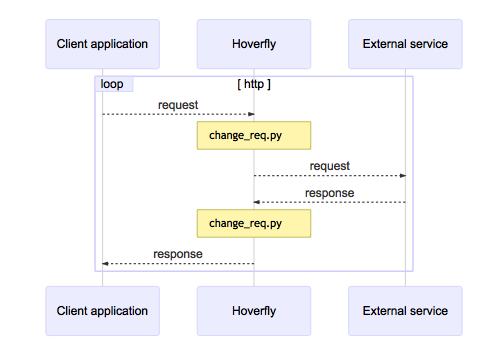 In Modify mode, Hoverfly will pass each request to a Middleware executable before forwarding it to the destination. Responses will also be passed to middleware before being returned to the client. You could use this mode to “man in the middle” your own requests and responses. For example, you could change the API key you are using to authenticate against a third-party API.